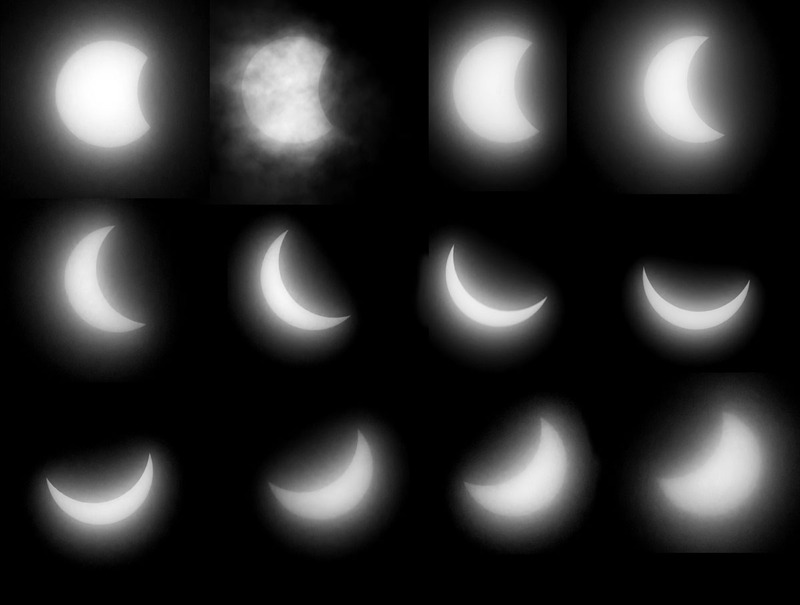 Links Through Space: The Solar Eclipse 20.03.2015. 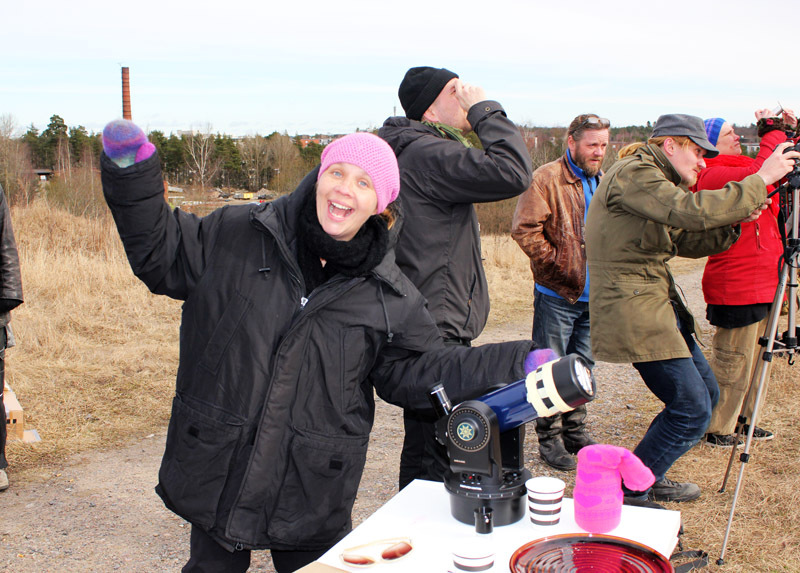 Photos of our Public Outreach activity in Turku, Finland. The Solar Eclipse 20.03.2015. 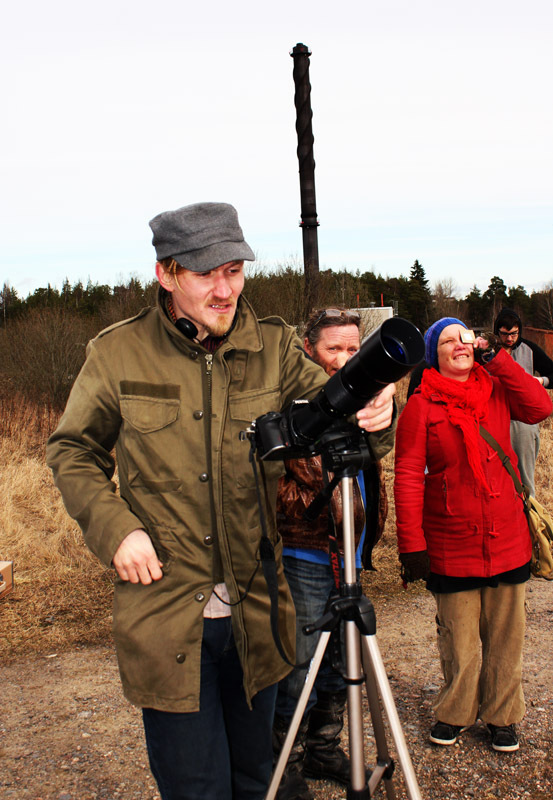 Photos of our Public Outreach activity in Turku, Finland. 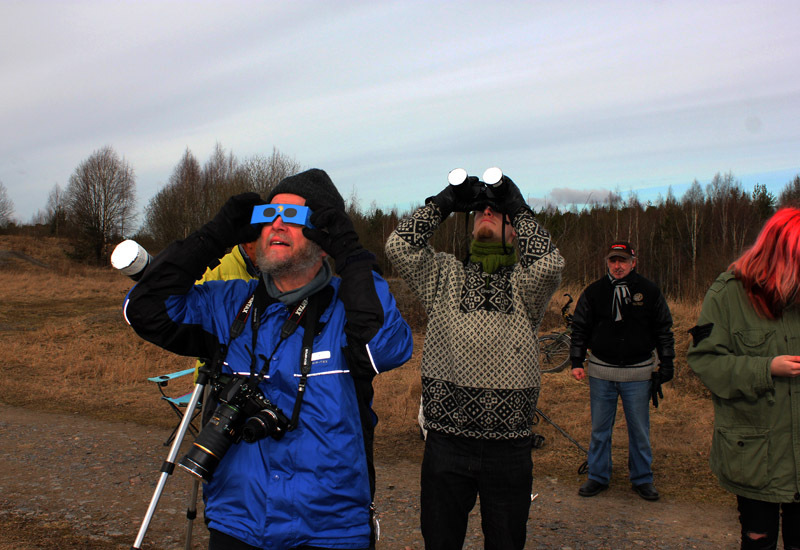 20.03.2015 Solar eclipse viewed from Turku, Finland. 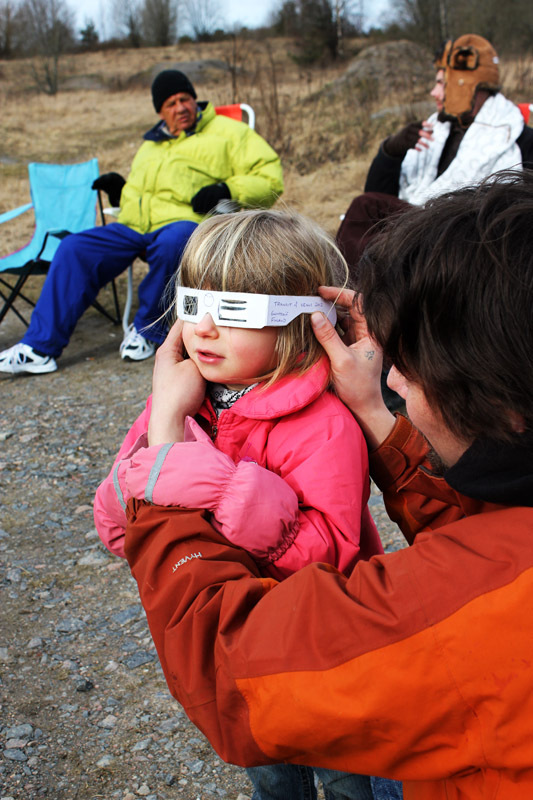 On March 20th, we invited family and friends to come and look at the Solar eclipse. 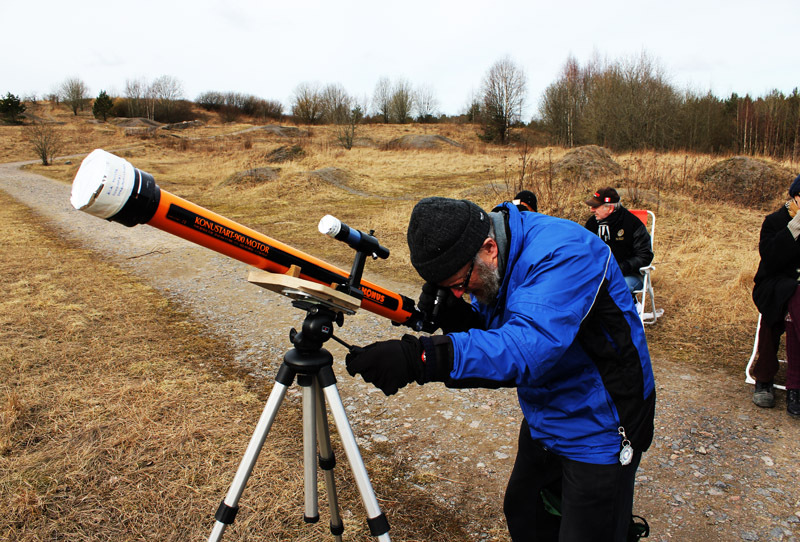 It was part of our Astronomy club's Public Outreach in Astronomy. 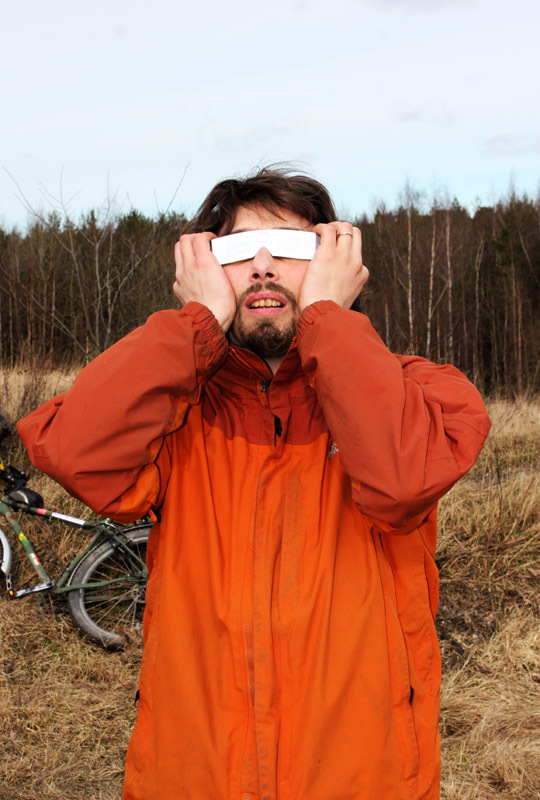 This partial eclipse was of 84% of totality where we stood at the peak of an high hill in downtown Turku, Finland. It was fairly clouded and misty I would say (judging by the quality of the pictures we got). But never the less, lots of people came. We had 2 telescope (middle range) to show a larger scale of the eclipse. 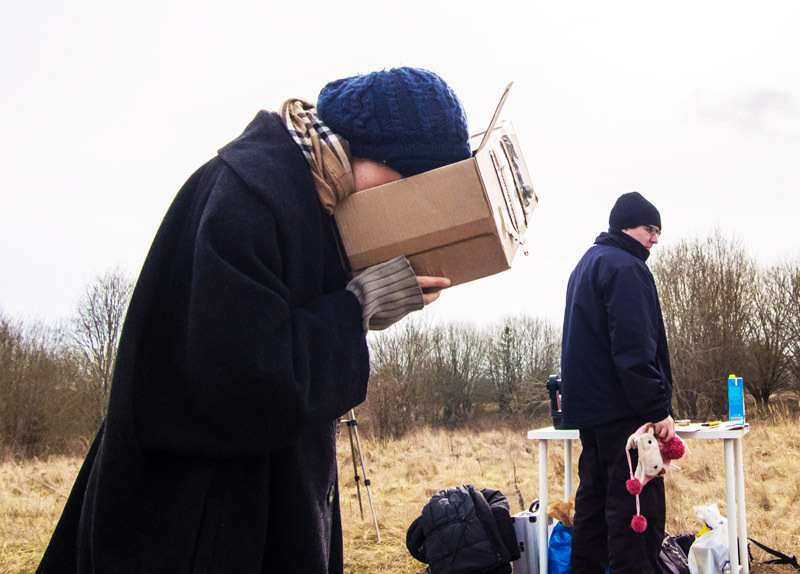 We had also a couple of pinhole solar projection boxes to look through not directly at the Sun and we had many Sun filter glasses, filtered-binoculars and welder glasses as well. Plenty to go around, people could look through all the instrument to catch a glimpse of the Solar eclipse. 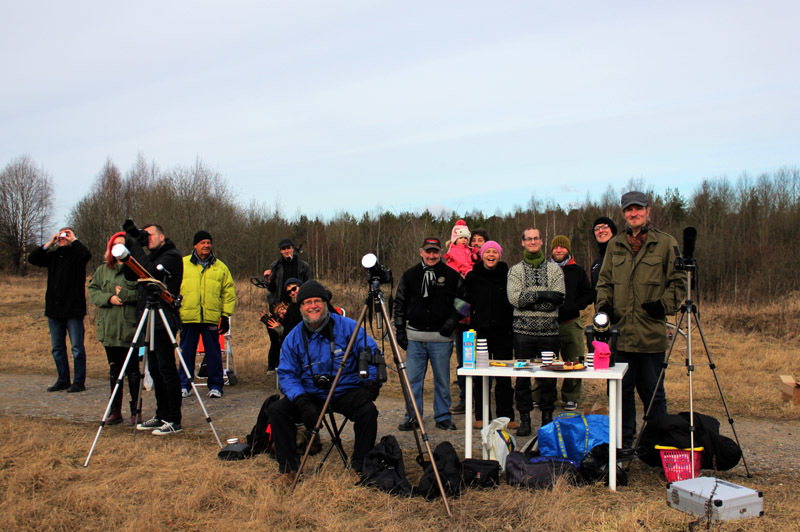 Here are photos of our Public Outreach activity on March 20th, 2015. Thank you to all the participants. I hope you liked the event and enjoyed the astronomy behind it! All pictures credited to S. Lamoureux/ KTY Toutatis or else mentionned. Group photo of the participants. 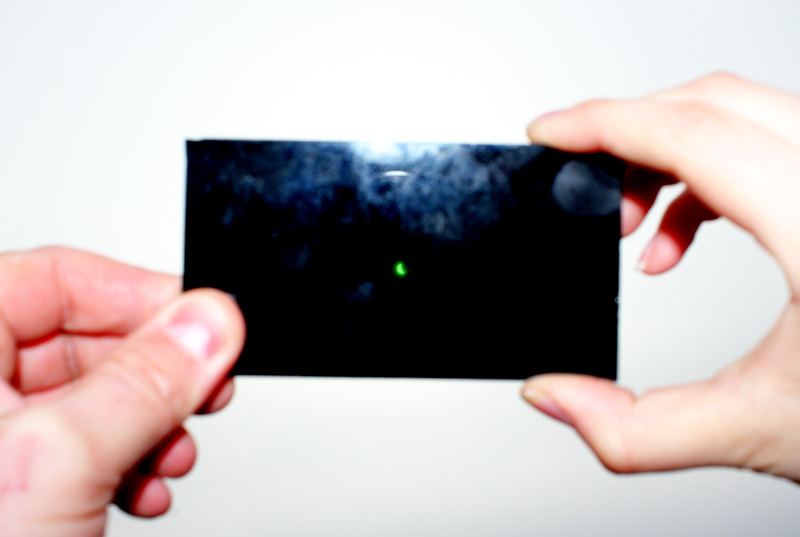 Solar eclipse 20.03.2015.